Majamoo pot stand, designed by Jani Martikainen, is well fitted for serving hot pots or cold dishes, and its playful shape also serves as a decorative item. Majamoo trivets are made of Finnish birch plywood that emphasizes their wavy, organic appearance. They are available in different sizes and can be used separately or nested together. 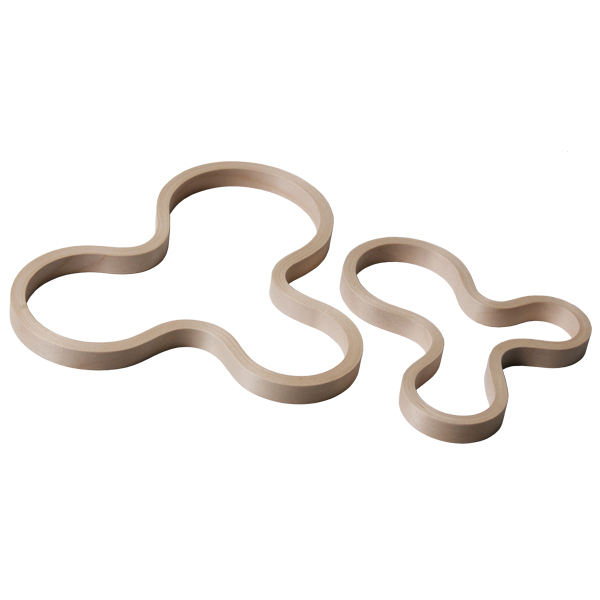 Majamoo trivets were awarded a prize in Alvar Aalto's centenary year competition. The set includes two trivets in different sizes: medium and large. Jani Martikainen (b. 1971) is a Finnish designer and interior architect who graduated from the University of Art and Design Helsinki. The most popular products designed by Jani Martikainen are Majamoo wooden trivets, which were awarded a prize in Alvar Aalto’s centenary year competition.